Incorporating information concerning ITRA (International Timeshare Refund Action), M1 Legal and Pinder Reaux. The business describing itself as ‘ECC’ and offering relinquishment and claims services to timeshare owners is an offshoot of the business known most commonly as ‘ITRA’. ECC is under the same core ownership and control as was ITRA. Several of those working for ECC previously worked for ITRA. ECC previously shared offices with ITRA. With regard to ITRA, this business has been shut down following a winding up order made in the High Court in England after failing to refund consumers as ordered by the County Court. ITRA was the subject of several court actions by consumers who successfully took action over misrepresentations and breaches of contracts and the failure to provide the promised contract terminations and claims services. Prior to being closed down, ITRA was previously named by the UK authorities as playing a key part in a complex, multi-company, international network that deceived many consumers, resulting in losses of thousands of pounds in each case. ITRA’s role was to lure in consumers with promises of timeshare contract assistance – and then ‘switch-sell’ them into fraudulent holiday / lifestyle memberships. The UK authorities acted on these deceptions and closed down seven connected businesses in an attempt to protect consumers. ECC has already been the subject of consumer complaints and ongoing actions by consumers claiming misrepresentations have taken place. ‘ECC’ is used as a generic trading name. A UK company based primarily in Slough, UK is the primary trading entity and is named as European Consumer Claims Ltd. This company was previously named European Claims Centre Ltd.
Another ECC entity – one that is used on contracts issued to consumers is registered in Washington State USA. This is currently named European Consumer Claims LLC and was previously also known as European Claims Centre (LLC). Ownership of the company in terms of individuals / shareholders is intentionally not disclosed. It is stated that the business trades from Gibraltar – but an investigation by the Gibraltar authorities could find no tracer of the business there. (ITRA previously also falsely claimed to have a ‘head office in Gibraltar). The company named as ‘proxy director’ in US filings appears to have been previously registered in the Bahamas but has since been struck off. Despite enquiries being made of ECC, no evidence has been produced that this US registered ECC has actually itself been trading or actively providing the services promised to consumers. It is of concern that consumers are being asked to sign a contract with such a company. Ongoing legal disputes between consumers and ECC have been complicated by the use of the US registered ECC company. Despite the UK entity being the business that takes money from consumers and controls the day to day functions of ECC, including the offices, personnel and website, when disputes have arisen over misrepresentations, ECC has claimed that it is ECC in the US that is the provider of services and ECC UK is denying liability. Both ITRA and ECC have been acting in partnership with two law firms. M1 Legal – registered in Spain as Maxima 1 Legal SL. This business also previously used the ECC brand, being originally named European Claims Chambers. A director of the business is also named as being a director of several companies that were the Spanish offshoots of ITRA and those closed down by the UK authorities. Pinder Reaux solicitors – a regulated and registered UK solicitor firm. Pinder Reaux initially engaged with ITRA as their legal representative – attempting to defend them with regard to claims brought be consumers. The defences that we are aware of all failed, with judgements being awarded in favour of the consumers. Pinder Reaux are now said to be acting in a commercial partnership with ECC, pursuing timeshare claims. It should be noted that where M1 Legal and Pinder Reaux are engaged in legal services on behalf of consumers that contracts have actually been signed and monies paid by consumers to ITRA (now closed) and ECC. Understandably, consumers have been concerned over the fact that ECC can be regarded as an offshoot of ITRA. A number of those entering into contracts with ECC have been attempting to cancel and seek refunds after discovering the history and connections. The cancellations have been contested by ECC and in some cases are now the subject of court claims by the consumers – which are also being contested by ECC and are ongoing. Some consumers that previously paid monies to ITRA have been approached by ECC and told that ECC is taking over ITRA cases. We would advise that any consumer being approached in this manner makes urgent contact with the liquidators of ITRA, Richard Long & Co., who will be pleased to receive proof of debt against ITRA – and also any information regarding the activities of ITRA and potentially associated matter such as the ECC approaches. Documents relating to this can be found here. For consumers that have contracted with ECC directly and have concerns, it is essential that a proper evaluation of the circumstances of each case takes place. This could for example, examine the following. What services have been promised by ECC? Given the information provided by the US authorities regarding the US registered ECC entity and the information provided by the Gibraltar authorities, can the validity of the contracts be challenged? What cancellation rights might apply in terms of the ECC contracts? What work has been undertaken by ECC since contracts were signed / payments made? What is the precise basis in law that will be used by ECC in any contract termination or claims made on behalf of their clients? The information above is provided by KwikChex Ltd., as a part of free services to consumers under the Timeshare Task Force initiative. KwikChex has helped resolve hundreds of cases and assist in recovering hundreds of thousands of pounds for consumers and the termination of contracts. This has all been achieved free of charge. KwikChex and KwikChex personnel have provided evidence used in civil and criminal cases and have acted as key witnesses in several cases. The Timeshare Task Force is funded by the Resort Development Organisation (RDO), the trade association for vacation ownership across Europe. 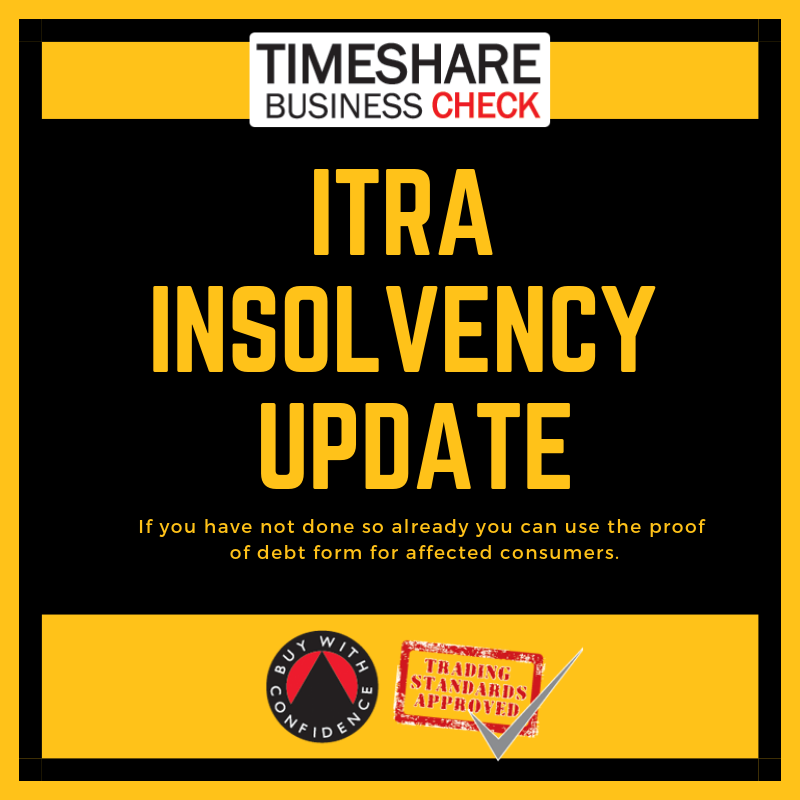 It has been confirmed that Richard Long & Co are to act as liquidators in the matter of the insolvency of International Timeshare Refund Action Ltd (ITRA) and will also investigate matters regarding the business. Please click here for documents in this regard. If you have not done so already you can use the included proof of debt form. We are also aware that in a number of cases that the ITRA sister company, ECC or European Consumer Claims has been approaching consumers that have paid sums to ITRA, stating they will take over cases. Should your receive such an approach, please let us know via our online form so we can provide further advice. If you have not done so already – affected consumers are also advised to file a report with Action Fraud online https://www.actionfraud. police.uk/report_fraud or by calling 0300 123 2040. If you require further assistance regarding ITRA, then you may contact us using our online form – https://timesharebusinesscheck.org/free-assistance. Assistance is entirely free and the service is Trading Standards vetted and approved. Law firm Seth Lovis, which offered services concerning timeshare relinquishment and claims has announced that they have ceased trading. We are aware that some consumers were introduced to Seth Lovis after paying other businesses for advice – and that there have been complaints regarding unsatisfactory service. If you have been affected and are not satisfied with the situation, then you may contact KwikChex via the Task Force website – https://timesharebusinesscheck.org/free-assistance/. Assistance is entirely free and the service is Trading Standards vetted and approved. On 22 February 2019, purported ‘timeshare claims specialist’ businesses Meredith Pritchard Consultants Ltd. and First Law Solutions Ltd. were wound up in the UK High Court following action by UK authorities. The Insolvency Service presented petitions to the court on the grounds that both companies traded with a lack of commercial probity by failing to provide contracted services in a timely manner or at all. This included accepting payments in respect of non-viable claims, charging excessive fees, and using misleading and aggressive sales techniques. Losses to consumers deceived by the businesses are believed to be in excess of half a million pounds. The news follows the winding up of another timeshare claims operation just weeks before, when International Timeshare Refund Action (ITRA), were also wound up in the High Court after failing to refund monies to consumers as per court orders established, they too had not provided the promised services. In the past 18 months, several businesses offering timeshare and relinquishment services have shut down without making good on their promises. Other notable examples include RSB Legal and Standon Mortimer. 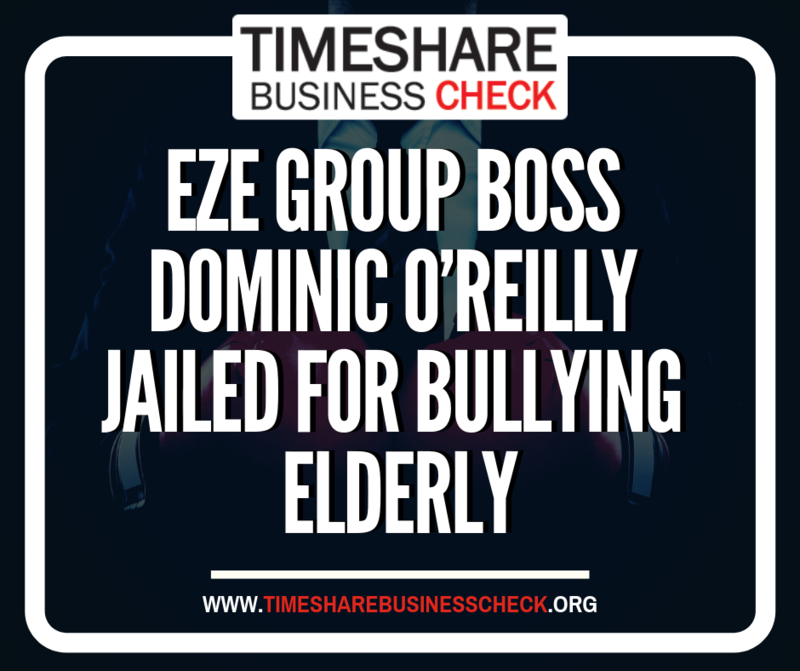 In addition, there have been multiple arrests made by the police and convictions through prosecutions, including the prolific EZE Group that are connected with the targeting of timeshare owners, In August last year, the problem was highlighted by Action Fraud, who reported that victims seeking their assistance had reported losing £7,893,028 in just the first half of the year. KwikChex has estimated that well in excess of £150 million has been lost by consumers to such activities over the last 5 years. Over 100 businesses have been identified as operating in deceptive and fraudulent ways or simply failing to deliver the promised services. Regrettably, this has even included regulated businesses including at least one firm of solicitors. Fake lawyers have also been springing up and making unlawful, unsolicited contact with timeshare owners. The problem has turned into a large-scale epidemic and KwikChex is currently in discussions with several authorities on how to tackle it. KwikChex, via the Timeshare Task Force provides a free service to consumers wanting to check on businesses operating within the timeshare sector. It is the only resource of its kind officially vetted and approved by UK Trading Standards. The free services provided to consumers by KwikChex are funded through the Resort Development Organisation (RDO), which represent timeshare businesses in Europe. In order to ensure that the services provided by KwikChex maintain the highest levels of integrity, they have been vetted and approved by UK Trading Standards and continue to be monitored on an ongoing basis. KwikChex has an outstanding track record of resolving problems and gaining refunds for consumers free of charge. This has included several well-publicised cases where assistance has been provided that enabled consumers to make successful regulatory-based and court claims. 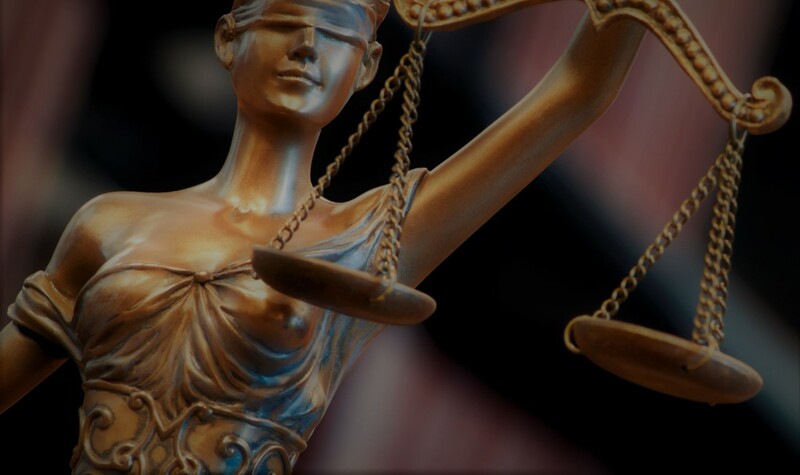 Where KwikChex is unable to help directly and the consumer wishes to take formal legal action, KwikChex will advise that an expert legal professional is used and advise on the selection process. The official KwikChex accreditation, approval and verified consumer feedback can be viewed on the following link. A company in Mexico is using the branding and logo design of RDO member Travel & Leisure. They are using the name ‘Travel & Leisure Mexico‘. Although their website (www.travelleisure.com.mx) is no longer active, they are still making contact with consumers. They are nothing to do with the Travel & Leisure Group and are also NOT members of the RDO and ARDA, and therefore should not be displaying their logos. We advise extreme caution regarding this company – if you have been affected or are contacted by this business please let us know by using our free assistance form. 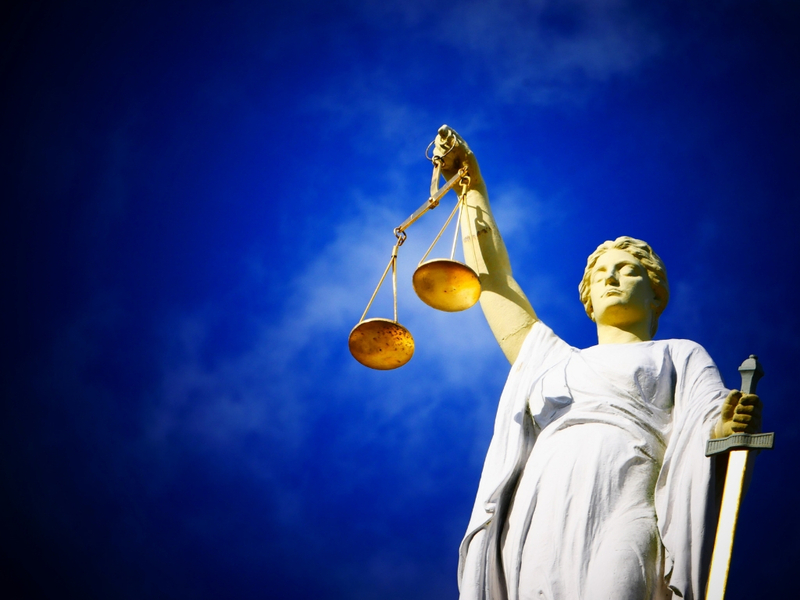 ‘When ITRA ignored the judgment they took the case to the High Court to have it shut down, assisted by Kwikchex, an online business verification scheme that runs the timeshare industry-funded Timeshare Task Force . “ITRA has a long record of making empty promises and charging huge fees, when in reality there were free or much lower cost options to exit timeshares,” said founder Chris Emmins. So far ITRA have done very little, getting me to do most of their work,” Laura says. “We paid ITRA over £5,000, this was over two years ago,” says Julie.